Panthera X is completely new construction with chassis and back rest frame made of carbon fibre. 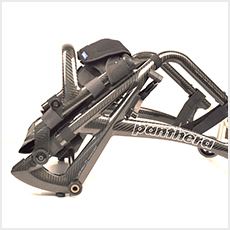 The carbon fibres fantastic lightness and strength makes Panthera X by far the lightest wheelchair in the world, with a transport weight of an incredible 4.6Ibs (2.1 kg). 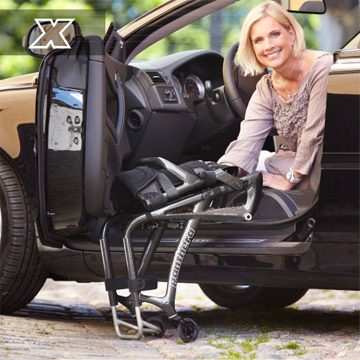 Panthera X has a built-in rear axle, just like Panthera U2 light, To balance the chair you choose one of the 4 positions of the attachment for the backrest. 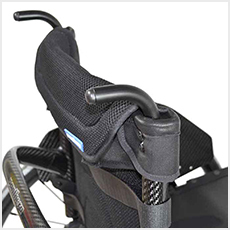 The angle of the backrest is adjustable and the backrest height can be selected between 8.6” (22cm) and 13.75” (35cm) in increments of 0.4” (1 cm). The footrest is adjustable in height. 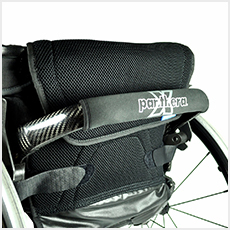 PANTHERA X™ offers a great variety of high-quality accessories that help enhance the wheelchair comfort and performance. These can be purchased separately. 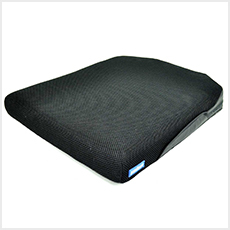 Cushion X - Available in width: 33 - 45 cm; and thickness: 5 cm. 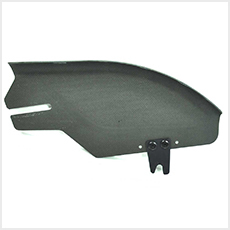 Transport Protection - Protects the wheelchair chassis from scrapes during transportation. Arm Hook - Helps with added stability during extraneous movement. Tube Protection - Attached around the tubes on the chassis with velcro to prevent damages like scratches and minor dents. The service life of the Panthera X depends on how much wear it is subjected to and how careful you are with maintenance. 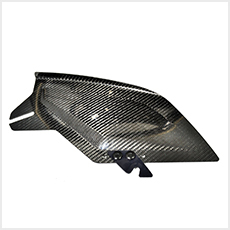 Carbon Fibre is a very strong material but sensitive to impact and hard shocks. 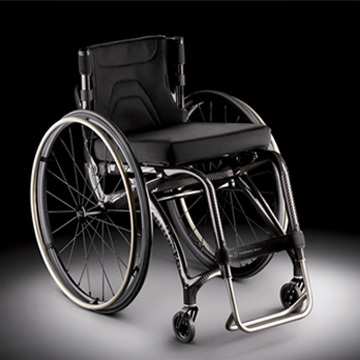 As an example, a fall backwards in the wheelchair against a hard surface can cause damage to the back frame. Damages caused by external force are not covered by warranty. 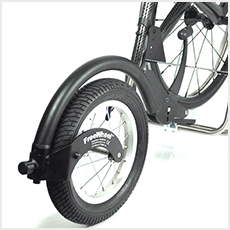 External accessories such as hand bike, and fixed backrest with installations performed with clamping hardware around the chassis tube or modifications to the chassis are not permitted. Dropping/putting down the chassis on a hard surface. 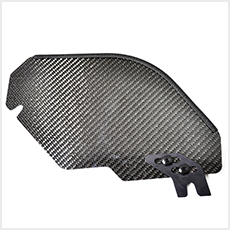 Scratching or eroding the carbon fibre construction.